WORDS, PLANETS, Laida Lertxundi, 2018. WORDS, PLANETS is the first solo exhibition of Laida Lertxundi’s work in the UK, presented across two venues in London (LUX) and Glasgow (Tramway) simultaneously. The exhibition features the European premiere of a new film installation, WORDS, PLANETS. The work forms part of a larger project called ‘Landscape Plus’, an 11-part series of films and installations, which each deal with a particular geography and subject of study. Each section of ‘Landscape Plus’ is conceived as a structural exercise, lived experience or memoir, which together form an embodied series of experiments that link a formalist film practice to intricate literary forms from Spain and Latin America. 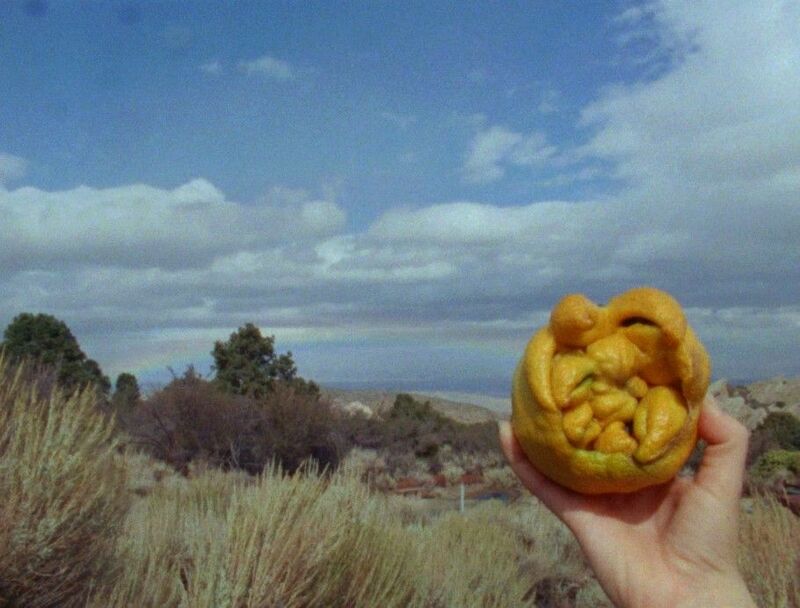 This film applies the six principles for composition delineated in ‘Opinions on Painting by the Monk of the Green Pumpkin’, written by the eighteenth-century Chinese painter Shih-T’ao as referenced in Raúl Ruíz’s essay ‘For a Shamanic Cinema’ (for example, ‘draw attention to a scene emerging from a static background’ or ‘add scattered dynamism to immobility’). The film is composed of scenes with non-actors, and texts by R.D.Laing and Lucy Lippard. Filmed and recorded in Habana, Cuba; Los Angeles; Devil’s Punch Bowl; Ryan Mountain; Jurupa Hills, Pasadena and Idyllwild, California.